The Concorde’s failure isn’t dissuading this startup one bit. The Concorde might have failed, but it’s not over for supersonic commercial flights. Boom, a nascent startup based in Colorado, is working on its own supersonic plane, promising the aircraft will be “affordable” and 2.6 times faster than current commercial planes. If that sounds too good to be true, there’s at least one major believer in Boom: Sir Richard Branson’s Virgin Group. Boom also reveals an unnamed European carrier has sent a letter of intent for up to 15 planes. 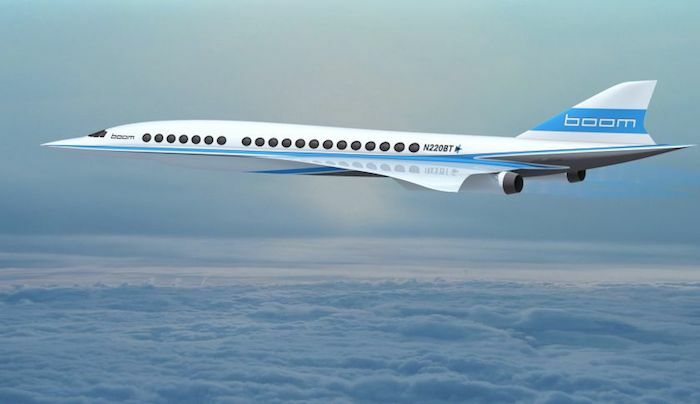 In total, the company cites both orders total more than $5 billion worth of planes.Though it’s easy to compare Boom to the now-defunct supersonic plane the Concorde, a joint venture between Aérospatiale and the British Aircraft Corporation, Boom asserts it’s strategy is different. While the Concorde was a “technical success,” the startup explains, it didn’t have the right economics. The Concorde could sit up to 100 passengers and charged roughly $20,000 for a round-trip. In the case of Boom, whose one-third-scale prototype is projected to take flight in 2017, a round-trip from New York City to London is estimated to only take 3.4 hours and cost $5,000, for example. Its planes will also only seat up to 40 passengers, making it much easier to fill each flight and keep the economics healthy. However, Boom founder Blake Scholl tells Fortune that he can’t comment on when full-scale planes will be ready for commercial flights. Boom’s team is made up of aviation and aerospace engineering experts who have previously worked at companies like Boeing and the Virgin Galactic. The company has raised an undisclosed amount of funding from Y Combinator, Sam Altman, Seraph Group, Eight Partners, and other angel investors.